With KALDEWEI as a partner you can count on the highest degree of planning security. When planning, coordinating and implementing, benefit as an architect or planner from 3D, BIM and CAD data direct from the brand manufacturer. 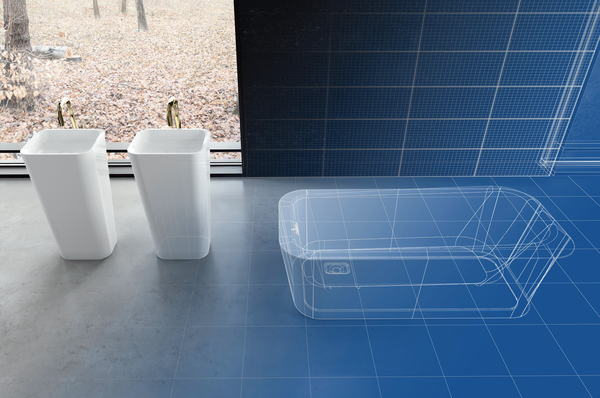 Discover all 3D drawings, BIM files and 2D data for our KALDEWEI bathtubs, showers and washbasins. 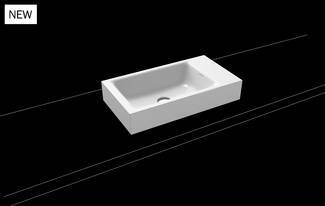 Our 3D data contain shapes and dimensions for geometrical models. Our BIM data on the other hand are suitable for BIM models which contain all information for actual implementation in a building. Are you using a CAD system to depict your project? No problem. We can also provide you with the necessary data for download for your CAD software. Absolute ease of use: simply choose the data you want for your individual planning and download it all at once. Always up-to-date: because we provide the data to you directly, you can be confident that you always have the latest data at your disposal in digital format. The files are available in the standard rfa (Revit) and .gsm (ArchiCAD) formats. For renderings and/or 3D visualisations, you can use the provided 3ds and .max (3ds Max), .skp (Sketch’up), .vwx (Vectorworks) and .alto (Artlantis) data. 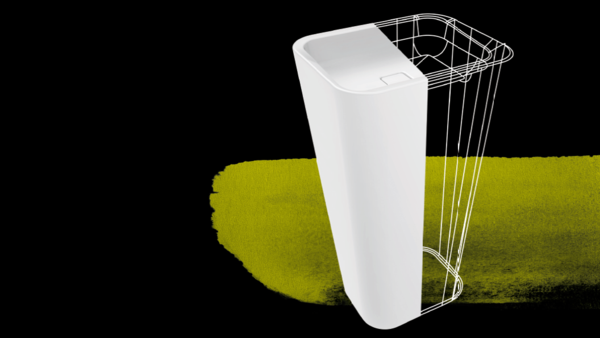 In each case the model shows the basic product with the obligatory visible parts such as waste outlet and overflow. This makes the data even easier to use in real-life planning situations. Building Information Modeling (or BIM for short) is a method with which software optimises the planning, coordination and construction of buildings. The creation of digital models containing all relevant project and product-specific data is at the heart of BIM. The 3D models furthermore contain additional information such as costs and scheduling. WHY USE BUILDING INFORMATION MODELING? Using BIM enables computer-supported planning across skilled trades that integrates all players into a construction project. This reciprocal flow of information improves communication and ensures better planning security and cost efficiency because interactions between architecture and building engineering are highly transparent, allowing process changes to be taken into consideration in good time. Today BIM is increasingly becoming the standard for projections, coordination and cost control in construction. Internationally too, BIM’s importance is constantly on the rise. In countries such as the UK, Norway, the USA and the Netherlands, BIM is already widely used and is, in part, a prerequisite when bidding for public tenders. Because the BIM method provides relevant information across the entire lifecycle of a building, its integrated approach is becoming ever more important in light of the Green Building concept and rising sustainability requirements. KALDEWEI is actively promoting this groundbreaking Building Information Modelling technology, and works closely as a partner with planners and architects. In 2016 KALDEWEI was one of the first bathroom manufacturers to pick up on the future theme of building information modelling. It now provides comprehensive assistance to planners and architects with digital data for the main software applications. KALDEWEI has been providing BIM data for download since the end of November 2016.